Edison is GE Healthcare’s intelligence offering comprised of applications and smart devices built using the Edison platform. Edison enables GE Healthcare to integrate and assimilate data from disparate sources, and apply advanced analytics and AI to transform the data to generate powerful insights. Built on top of existing workflow applications and devices, GE Healthcare inserts analytics directly into these devices and workflows—at the point of maximum impact. The result makes your new and existing systems smarter, by increasing their performance and improving their efficiency, enabling you to make better decisions faster. Edison Applications are designed to help you optimize workflow, reduce errors and waste, and control costs, allowing you to focus on patient care. Deep healthcare expertise is combined with analytics and AI to drive results. Current offerings include the following intelligent applications and smart devices. Alarm Spotlight provides information to help combat alarm fatigue including numbers of alarms by type, high and low limit settings, as needed. Automated Lesion Segmentation on LOGIQTM segments user-identified breast, thyroid or liver lesions, providing a trace of the lesion boundary and the corresponding area. AW CardID preprocesses the cardiac image and automatically displays and labels the coronary tree. User can then access tools to complete stenosis assessment and plaque assessment. AW CardIQ Function automatically pre-processes and loads exams, detects all chambers in all phases, calculates ejection fraction and chamber volume analysis, myocardial mass with bull’s eye images, and end-systolic and end-diastolic volumes. AW CardIQ Xpress is used to reformat and analyze 2D or 3D cardiac CT images for qualitative or quantitative assessment of heart anatomy and coronary artery vessels from a single or multiple cardiac phase image data sets. AW TAVI automatically segments the aorta and displays the aortic valve in multiple views for quick and easy measurements of the annulus. AW Volume Viewer enables visualization of the spine and dedicated spine protocols and guided workflow. Bladder Volume on VSCANTM leverages machine learning to help automate protocols, including capturing bladder volume at any time during an exam. Blood Speckle Imaging (BSI) provides a graphical representation of the trajectories of the blood cells. Bone VCAR includes automatic spine labeling and display of the rib cage rolled on a 2D planar reformat. 510(k) pending at U.S. FDA. Not available for sale in the United States. CarestationTM Insights – Agent Cost uses machine data from anesthesia monitoring devices to track and aggregate the variation of low flow anesthesia usage across OR departments to help clinician drive down agent cost. CarestationTM Insights – Check Out tracks anesthesia machine checkout status across your department to help clinicians improve OR workflow. Cmr42 Analysis uses deep learning-based contour detection for comprehensive Cardiac MR analysis. Deep Learning Image Reconstruction generates TrueFidelity images with deep detail, true texture and high fidelity for every CT scan. 510(k) pending at U.S. FDA. Not available for sale in the United States. Doppler Assistant on LOGIQTM determines location and direction of vessels in order to automatically place color ROI and the Doppler gate in appropriate location to steer them in correct direction. Doppler Assistant on VividTM determines location and direction of vessels in order to automatically place color ROI and the Doppler gate in appropriate location to steer them in correct direction. EVAR ASSIST 2 is based on VesselIQ and provides more advanced, guided workflow. This includes displaying anatomical landmarks to export and apply to the GE Interventional system for a procedure. Imaging Insights provides a full fleet (multi-vendor, multi-modality) practice summary of asset utilization, protocol and dose, quality assurance, patient experience and referral metrics. Imaging Protocol Manager is a cloud-based solution that allows providers to manage protocols across their enterprise efficiently and effectively. Interventional Auto Exposure Technology is an automatized dose and image quality management system on interventional image guided systems. Liver ASSIST V.I. 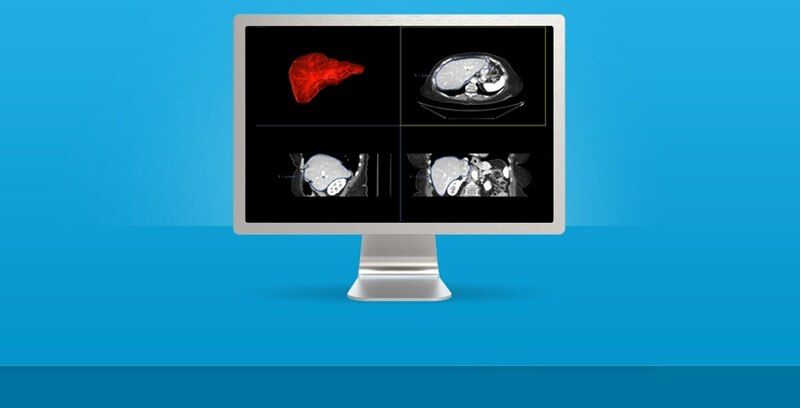 provides fast and detailed tools to extract and analyze the anatomy of interest, such as tumor feeding vessels or the portal system anatomy. Now with new simulation solution, mapping the predicted path of an injected embolization agent on CBCT datasets. LVivoEF on VSCANTM leverages machine learning to help automate measurement of ejection fraction. Metal Artifact Reduction (MAR) detects metallic objects and artifacts automatically for correction. Motion Freeze is a pioneering solution to compensate for involuntary respiratory motion artifacts on interventional CBCT images. MR AIRxTM uses deep learning algorithms that automatically identify anatomical structures to prescribe slices for routine and challenging neurological exams, improving productivity and delivering consistent results. Not CE marked. Not commercially available in all regions. MR Intelligent SAR uses machine learning for fast and accurate SAR estimates. Needle ASSIST defines optimal needle entry points and pathways on CBCT, fusing them on live fluoroscopy for minimally invasive needle guidance. OB Measure Assistant on LOGIQTM automatically segments out the appropriate structure from the user identified image (including head circumference, biparietal diameter, abdominal circumference or femur length) and annotates it with associated measurements. OnWatch uses software and fault-detection models to remotely monitor and, where possible, remotely intervene to analyze and fix anomalies. PCI ASSIST is automated image optimization software that helps improve visibility up to +85% in moving anatomy, and up to 75% in larger patients, at the same dose. Quantib Brain allows automatic labeling, visualization and volumetric quantification of brain structures using machine learning based automatic segmentation. Smart Subscription provides access to all the latest software for CT devices, all the time, for one fee per device per year. Available On: Revolution Apex, Revolution Frontier Gen, Revolution EVO Gen 2, Revolution HD, Discovery CT 750 HD, Optima CT 660. SonoCNS Fetal Brain on VolusonTM assists the user to properly align, display and measure the ISUOG recommended views of the fetal brain. Valve ASSIST 2 helps simplify the planning of structural heart procedures, enabling you to determine the dimensions of the valve and select access route easily and with accuracy under live fluoroscopy guidance. Vessel ASSIST extracts bone, vessel and calcifications to create vessel centerlines that serve as visual tracks to guide on during MIS revascularization. VesselIQ Express provides easily accessible, user-friendly tools to analyze 3D angiographic data. ViosWorks Analysis enables deep learning based automated segmentation in the cloud for comprehensive cardiac MR analysis. X-ray Critical Care Suite on OPTIMATM enables deep learning based automated segmentation in the cloud for comprehensive cardiac MR analysis. 510(k) pending at U.S. FDA. Not available for sale in the United States. 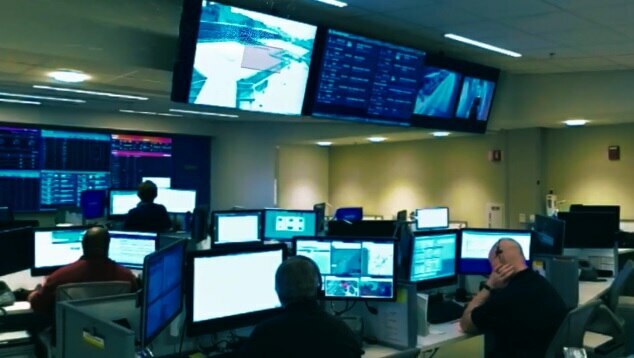 Command Centers concentrate operational decisionmakers and equip them with real-time, predictive decision support tools to enable better and faster decisions.